Finally, the fourth generation Audi A8 has been listed as a car for sale in Abu Dhabi, UAE and it looks good enough to give serious competition to BMW’s 7 Series and Mercedes’s S-Class. The car comes with various safety technologies, boasts of lightweight aluminum architecture, and offers an impressive amount of horsepower. The car was first revealed at the 2018 LA Auto Show. The Audi A8 2019 comes with different autonomous drive modes and is fitted with a powerful V8. The customers in UAE get two options: a 4.0-liter turbo V8 rated at 460 horsepower and a 3.0-liter turbo V6 rated at 340 horsepower. Needless to say, the V8 variant offers 120 horsepower and 160 Nm of torque more when compared to the base V6 model and enables it to go from 0-100 km/h in just 4.6 seconds. This means the car is powerful enough to confidently cruise through highways and hit straightaways with no problems at all. The car also comes with an auto start/stop system that is so good that you wouldn’t want to turn it off. The result is that the sedan transitions smoothly and seamlessly from engine off to moving forward at stop lights. 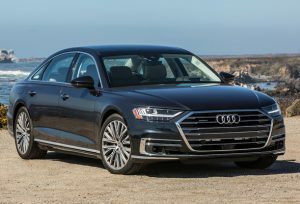 The Audi A8 also features tight steering that gives you a better grip of the car all the while offering a smooth ride, courtesy of the all-wheel steering and the standard adaptive air suspension. This means you get a dynamic driving experience. The MHEV variants also come with an optional sport differential that sends power to individual wheels when required. Looking for an Audi sedan? 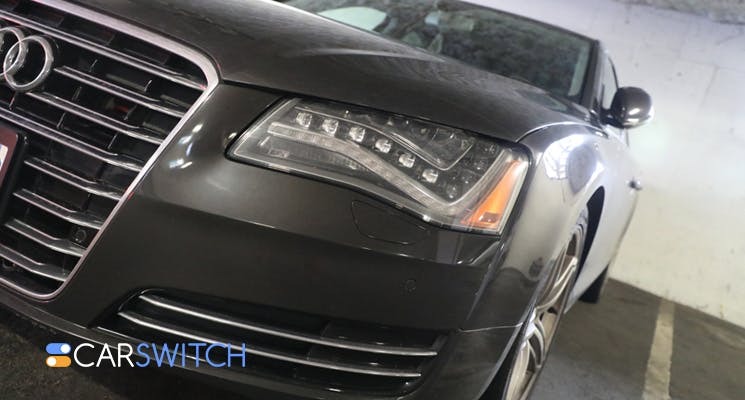 Check out our huge collection of used Audi cars in Abu Dhabi at CarSwitch.com today! The petrol V8 implements the company’s new design language and makes use of mild-hybrid technology to lower emissions. It is also worth mentioning that this particular sedan from the German manufacturer is the first production auto in the world to feature automated driving modes. Check out our used Audi Q5 in Abu Dhabi at CarSwitch.com! The car also looks gorgeous from the inside and the wood paneling makes it look classy. The Audi A8 also features hidden air vents and a new MMI infotainment system. The front seats look pretty comfortable and the rear ones can recline back, which means the passengers can easily take a nap while traveling. The headrest is as cozy as a pillow and one rear passenger also gets a foot massage. Other novelties include a massage seat and a small satellite MMI control panel. Unlike other cars, in which the infotainment system can only be controlled by the driver, the A8 gives the rear passenger a detachable OLED tablet which can be used to control media and the temperature. Do you want a slightly older Audi but in great condition? Check out our pre-inspected Audi A6 cars in Abu Dhabi! It is worth mentioning that Audi hasn’t witnessed a sales downturn since 2009 which means it must be doing something right, and it appears that the A8 will help to maintain the streak. The car starts at AED 305,965 in the overseas market and the pricing in the UAE is expected to be similar to that. Looking for a new car but do not have the time to scour the market? 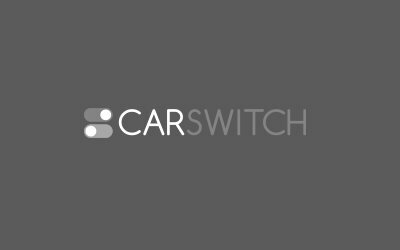 Log onto CarSwitch.com to check out our car for sale in Abu Dhabi and shop for a car from the comfort of your home! Back in July 2018, the 2019 Porsche Macan was launched officially. So, watch out for the. Although Ford’s Lincoln Navigator started the trend of full-size luxury SUVs, it fell behind rivals later.